Universal braces provide both medial and lateral support to the ankle while allowing full plantar flexion and dorsiflexion. Low profile lightweight stabilizer fits easily into most athletic shoes. 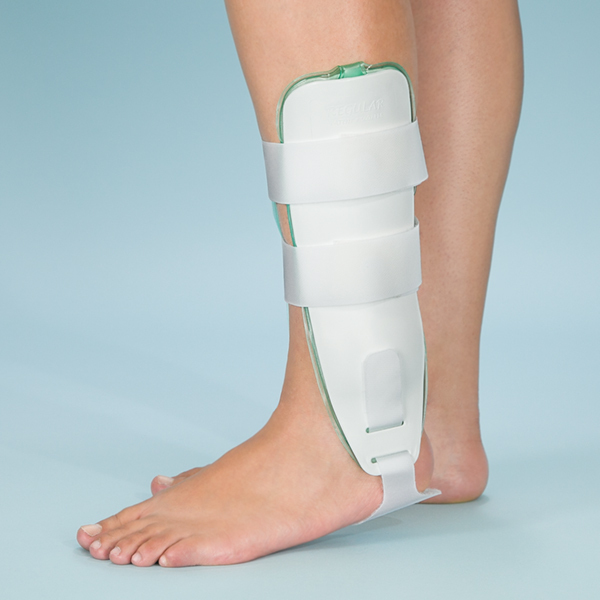 Patented anatomically contoured shells with adjustable heel strap. Leg straps with hook and loop closure for easy application and removal. 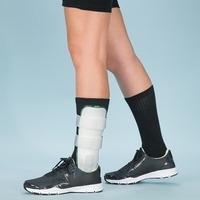 Ankle Stabilizer with Valve contains single cell foam lined pre-inflated bladder. Includes tubing to manually adjust bladder to desired level of compression. Ankle Stabilizer with Gel Pocket has dual cell liners combined with a gel pocket at the ankle with an upper air pocket. Liners can be frozen to provide cold therapy at ankle. Universal style fits left or right ankle.